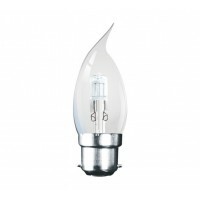 This is a 33W (40 watt equivalent) E14 SES Small Edison Screw new styled low energy halogen candle shaped light bulb which used 30% less electricity than a standard incandescent lamp and reaches maximum brightness instantly. 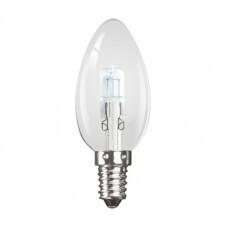 These light bulbs are 100% dimmable unlike most CFL lamps. 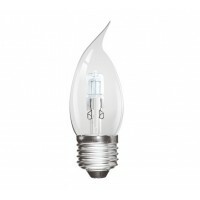 Average Life of 2000h, 2 times longer than incandescent lamps. 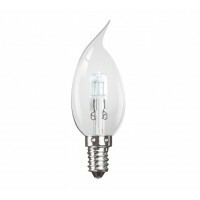 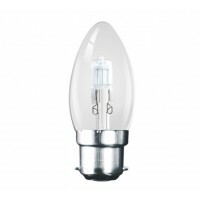 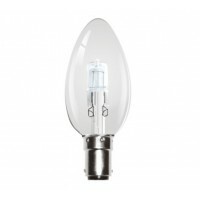 Same shape and size as incandescent lamps for direct replacement. 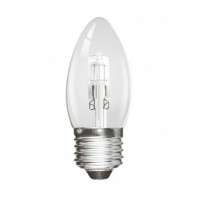 Please note we will either send you Kosnic UK , Eveready or Duracell versions - Both are high quality and look the same. 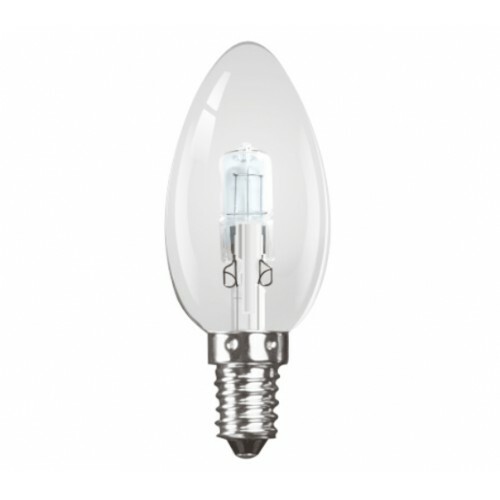 28W = 40W Halogen Eco Candle Small Bayonet Light Bulb This is a 28W (40 watt equivalent) SBC B15..
28W = 40W Halogen Eco Candle Bayonet Light Bulb This is a 28W (40 watt equivalent) Bayonet / B22..
28W = 40W Halogen Eco Candle Edison Screw Light Bulb This is a 28W (40 watt equivalent) Edison S..
28W = 40W Eco Halogen Candle - Edison Screw Cap This is a 28W (40 watt equivalent) Edison Screw ..
42W = 60W Eco Halogen Small Bayonet Candle Light Bulbs This is a 42W (60 watt equivalent) SBC B1..
42W = 55-60W Halogen Eco Candle Bayonet Light Bulb by Duracell This is a 42W (55-60W equivalent)..
42W = 60W Eco Halogen Bayonet Candle Light Bulb This is a 42W (60 watt equivalent) Bayonet / B22..
42W = 60W Eco Halogen Small Edison Screw Light Bulb These are 42W (60 watt equivalent) E14 SES Sm..
42W = 60W Eco Halogen Candle Small Edison Screw Light Bulb This is a 42W (60 watt equivalent) E1..
42W = 60W Eco Halogen Edison Screw Candle Light Bulb This is a 42W (60 watt equivalent) Edison S..